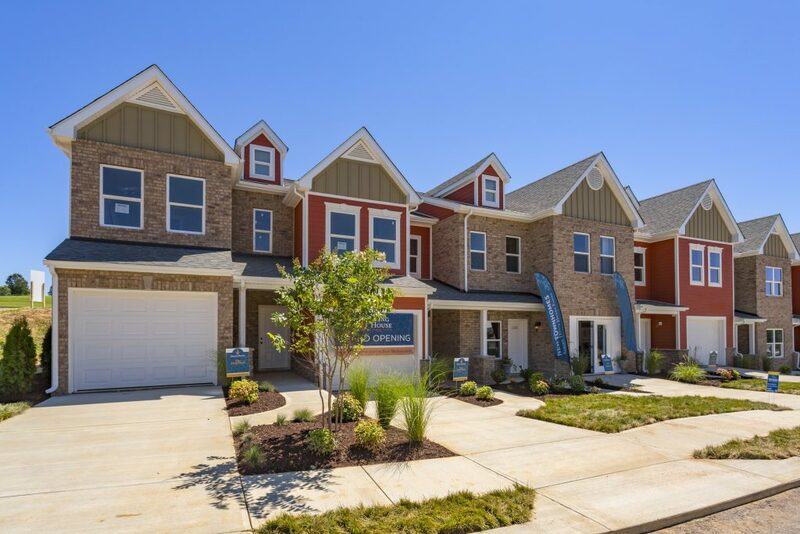 Spring House at Honey Farms, located in Columbia, Tennesse, a suburb of Nashville, Tennessee, is a community of affordable, luxury townhomes that offers an escape from the everyday. Showcasing a variety of townhomes with two to three bedrooms, two-and-a-half to three-and-a-half baths and up to 1,900 square feet of comfortable, elegant living space priced from the high $100,000s to mid-$200,000s, the community displays what it means to innovate for the first-time homebuyer in today’s real estate market. Residents of Honey Farms represent a broad spectrum of first-time buyers including individuals, recently married couples and young couples with small children. Because of the community’s proximity to General Motors, IBEX GLOBAL, Maury Regional Medical Center and Magna International, many homeowners work for these companies. With affordability, energy-efficiency, an exciting locale, open layouts and flexibility of space use, Honey Farms is the perfect home for the early-career-focused and the family starters. Honey Farms offers the perfect product – affordable townhomes in a fantastic location and a community that boasts resort-style amenities, but needed help finding buyers who would be interested in “the sweet life” that Honey Farms offered. When we first began working with Honey Farms, they had many of the essential pieces of the marketing puzzle – a great brand, a stunning, easy-to-use website and content that was informative and interesting. We created and implemented a social media strategy that would bring the attention of Honey Farms’ audience and potential buyers to their community and homes. We began by showcasing Honey Farms’ gorgeous, comfortable and innovative townhome floor plans in a series of #FloorPlanFriday posts on their social media channels, which include Facebook and Instagram. These posts boosted engagement with the brand on social media and directed traffic to their website to gain more information about the floor plans and view them. To create more conversations around Honey Farms, the team posted weekly on its blog about a variety of subjects, including tips for decorating, moving, saving for a new home, budgeting during the holidays and ways to enjoy living at Honey Farms, such as taking advantage of the community’s resort-style amenities. The blog posts were shared on their social media channels to increase interaction and associate the brand with maintenance-free, fun-filled living. Additionally, the Denim Marketing team creates monthly social media calendars filled with eye-catching graphics, thought-provoking and engaging posts that appeal to Honey Farms’ intended market. Within a little more than a month working with the Honey Farms social media channels, Denim was able to double its Facebook likes and interaction and triple its Instagram following. Followers counts are continuing to climb each month.